Interested in making quick and inexpensive beauty products? Wondering what natural and holistic beauty products and treatments others love? Join HMN San Jose for a fun evening of hanging out, pampering, and learning what others use, make, and/or recommend. Bring your favorite beauty products and/or remedies to show and share. We’ll try each other’s favorites and/or learn what others recommend. We’ll also be making a wonderful sugar scrub from the Doing It Gorgeously book by Sophie Ulliamo. 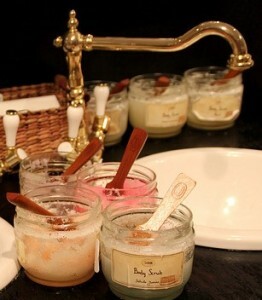 Bring a small jar to take some home and enjoy smoother skin.